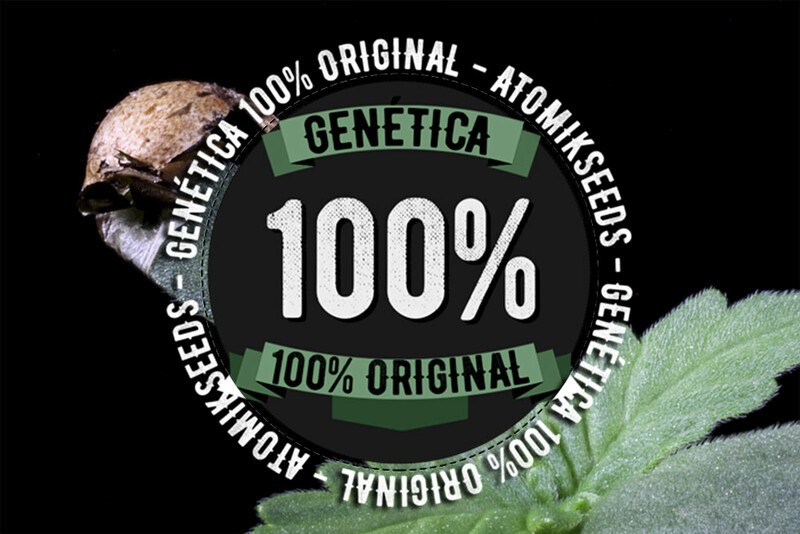 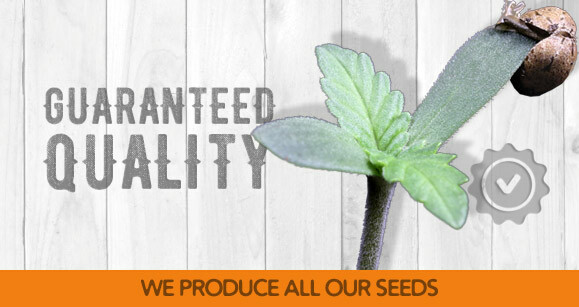 Atomika cannabis seeds, 100% original Atomik Seeds strain. 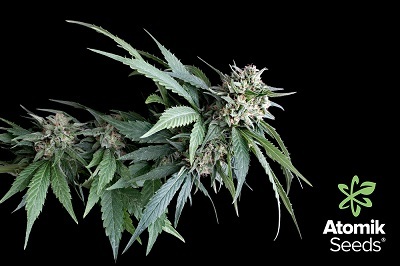 After many years of investigation we have developed a sativa dominat cannabis strain that has a high concentration of THC (23%) and a lush harvest. 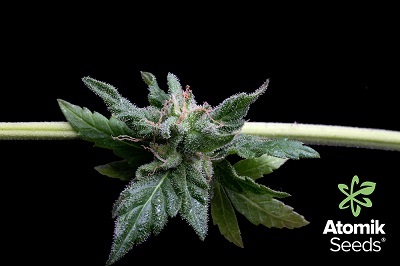 Latest cannabis tests made to an Atomika sample show a 23% of THC concentration rate, a high THC quantity. 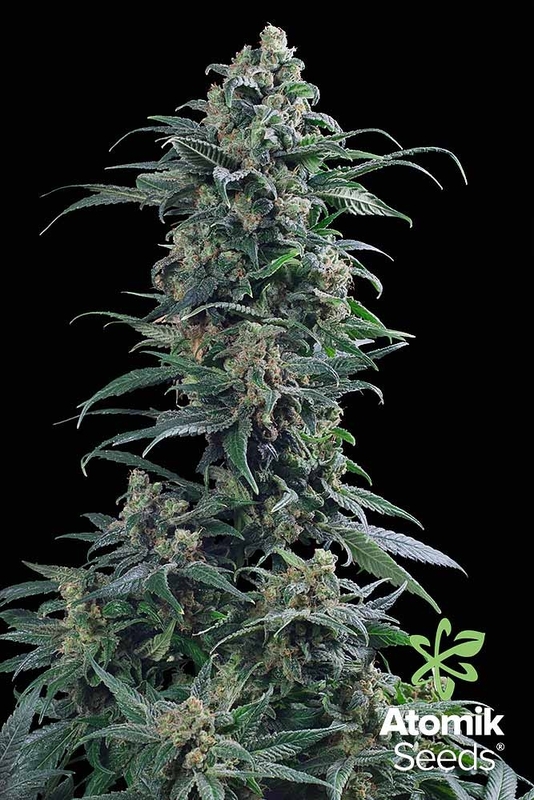 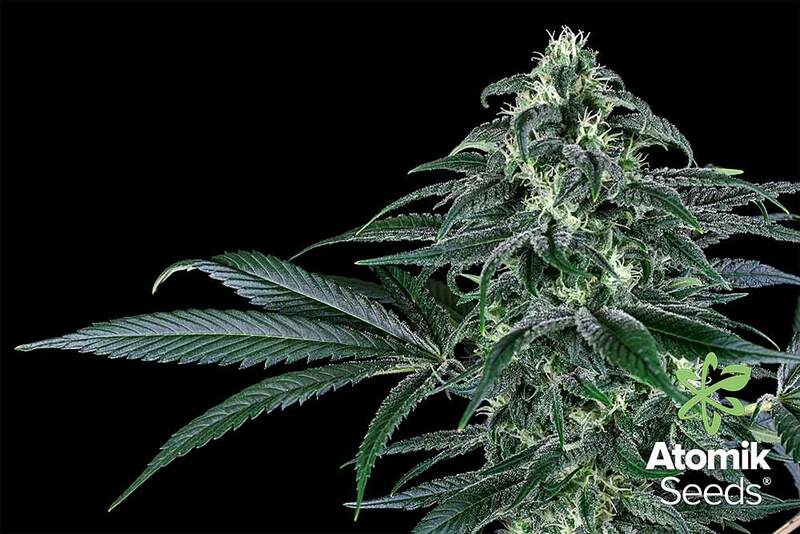 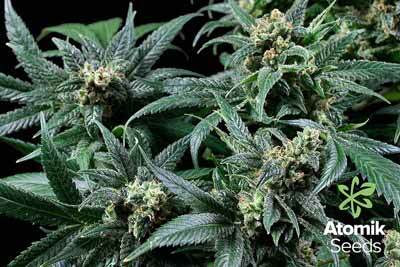 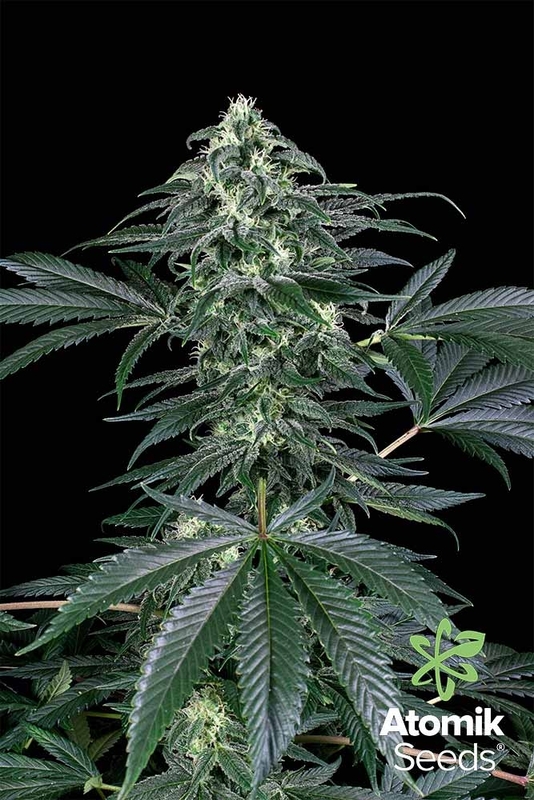 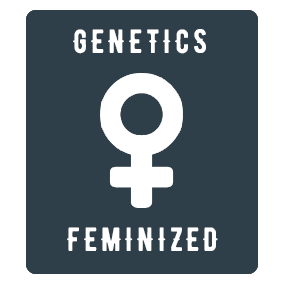 Atomika is a cannabis plant with a large moho and plague resistance. 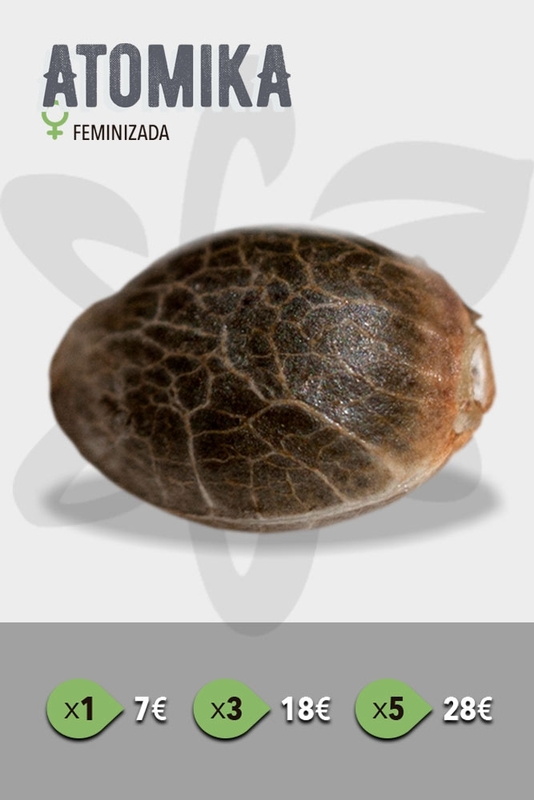 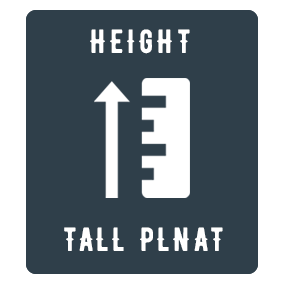 This characteristic make this cannabis plant an ideal specimen for indoor growing where this strain grows strong and resistance so that it will be very easy to get fruitful harvest. 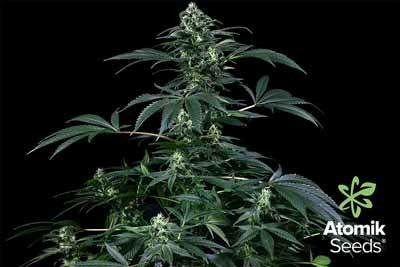 Atomika needs to grow with space between plants, quality soil, plenty of water and a appropriate fertilizer. 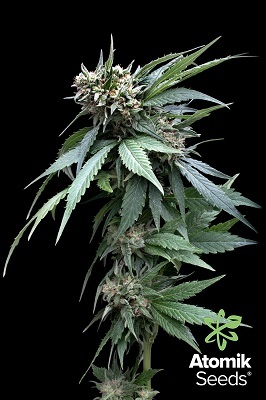 This way you will get a championship cannabis plant with fruitful harvest as well as plentiful resin buds. 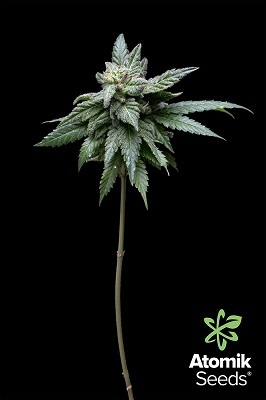 It is a plant wich absorbs really good fertilizer. 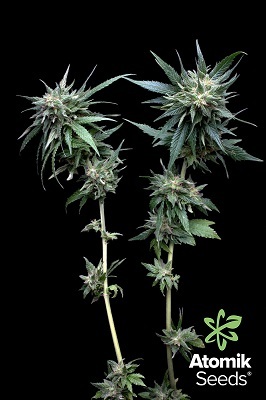 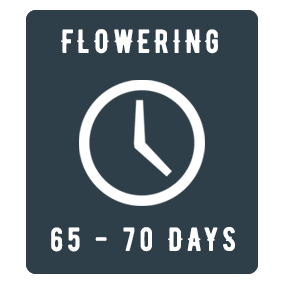 Few sativa strains can be proud of having a flowering time as short as this and a such psychoactive high effect. 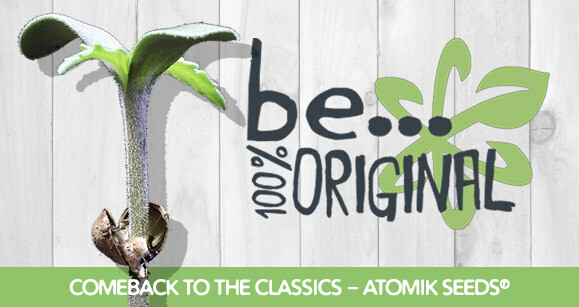 You won’t be indifferent to this cerebral trip Atomika’s flavour and scent is another remarkable thing to say. 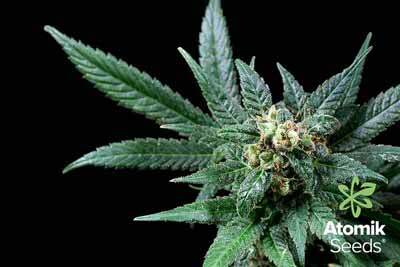 It has intense citrus, incense as well pine wood scent. 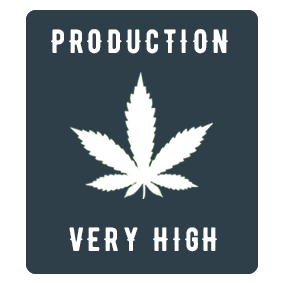 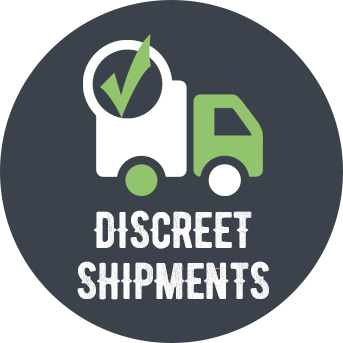 After years of investigation and development we bring you this awesome strain.